In a major policy shift, the Baker administration will allow State Police to routinely check with federal immigration authorities about the status of suspects who are already in custody on state criminal charges, upending practices put in place by former governor Deval Patrick. Governor Charlie Baker said he has decided to change course so troopers can help federal law enforcement combat terrorism, gangs, and other criminal activity. 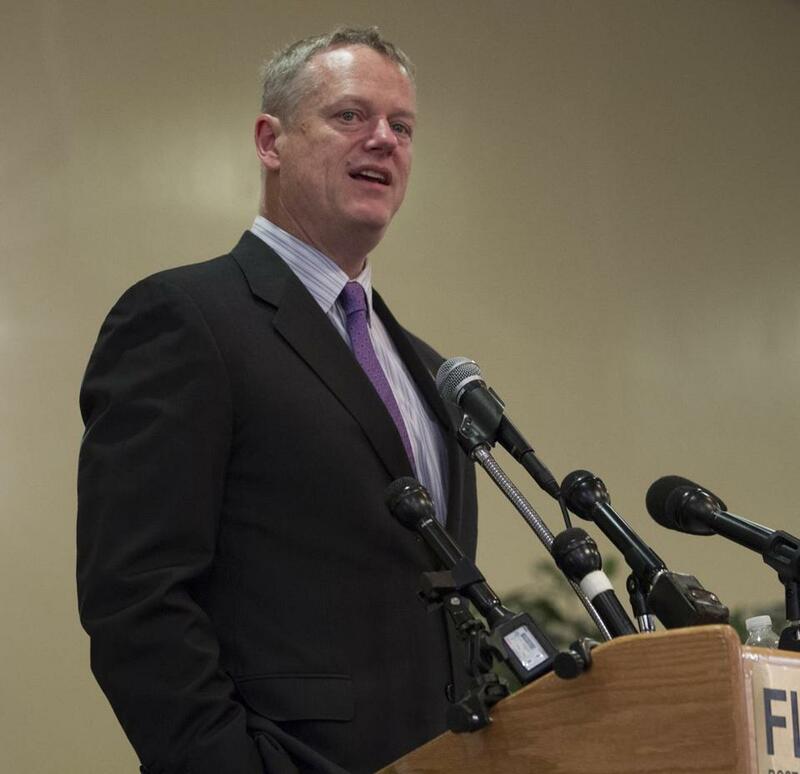 “This policy revision gives the professionals of our statewide policing agency the tools necessary to detain criminals, gang members, or suspected terrorists wanted by federal authorities,” Baker said in a statement. The Republican governor’s decision to reverse his Democratic predecessor’s policy touched off a fresh wave of debate over law enforcement’s role in immigration, including in Boston, where Mayor Martin J. Walsh announced that city police would not be following suit. “We want all residents of our city to feel comfortable engaging with our police officers in their neighborhoods to report crimes and cooperate in criminal investigations,” the mayor said. The State Police policy will not allow troopers to arrest someone or take them into custody solely on immigration issues, but they will be allowed to contact Immigration and Customs Enforcement directly to learn whether ICE considers the person a priority target, the administration said. “As before, the State Police will not be enforcing federal immigration law nor will they inquire about immigration status; they will now be able to assist in detaining for our federal partners individuals who pose a significant threat to public safety or national security,’’ Baker said. Baker said his policy aligns with a new Obama administration initiative called Priority Enforcement Program, the successor to the controversial Secure Communities program. The program allows ICE to ask state and local law enforcement to detain “removable aliens” if they are suspected of terrorism or espionage, or have been convicted of gang-related crimes, felonies, or a “significant misdemeanor” such as domestic violence or drug distribution. Federal immigration officials can also request the local detention of an individual convicted of three or more misdemeanors stemming from three separate incidents and not including minor traffic infractions. Signed by State Police Superintendent Richard McKeon and dated Thursday, the new general order limits detention at ICE’s request to 48 hours, excluding weekends and holidays. Those detained for ICE must have been arrested for a criminal violation or on warrant and detentions must be approved by the troop duty officer, according to the policy. Opponents of the shift said they are concerned about the constitutionality of such immigration detainers, and argued that such a measure could harm public safety. Massachusetts Immigrant and Refugee Advocacy Coalition executive director Eva Millona said federal authorities are capable of carrying out immigration enforcement on their own. ICE reported more than 235,000 immigration removals in the 2015 fiscal year. “We do not question the governor’s intent to keep us safe, but this is a very complex issue and we are concerned that this will increase fears among the community and this will backfire,” Millona said. State Senator James B. Eldridge, an Acton Democrat who held a conference call with Jackson, said he does not believe recent federal policy shifts are enough to protect against police officers who might target immigrant communities with the goal of examining their status. He suggested that Baker might be making the move on immigration “to reconnect with his right-wing base” following his recent declaration that he would sign a transgender public accommodations bill. State Republican Party chairwoman Kirsten Hughes noted that the governor was aligning the state with the approach of the Democratic president. Material from State House News Service was used in this report. John R. Ellement can be reached at ellement@globe.com. Follow him on Twitter @JREbosglobe. Andy Rosen can be reached at andrew.rosen@globe.com. Follow him on Twitter at @andyrosen.